You don’t need expensive graphical effects in a VR game, says Anton Mikhailov. Virtual Reality is a bit different when compared to conventional gaming mechanics. A developer needs to consider a lot of parameters while designing a VR headset. Whether it be depth of field, motion sickness or most importantly a higher fresh rate. It’s no secret that the PlayStation 4 has struggled to achieve 6ofps across all the games that have been released for the system till date and given that high refresh rate is of pivotal important for its upcoming VR Headset, it should be a challenge for the developers who plan to make resource heavy games for the device. 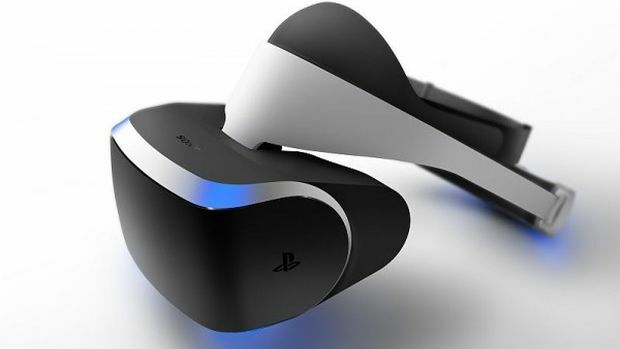 Sony’s R&D team member Anton Mikhailov believes that it’s very much possible to run games at 60fps on the upcoming PS4 VR Headset. A lot of visual effects like camera artefacts and film grain noise are not needed, saving a lot of processing power. “The reality is that when you’re rendering VR, a lot of the details that traditionally get done in games like post-effects, motion blur – they’re not needed. Things like a lot of the lens effects, a lot of the distortions people do, they’re quite expensive to do in post. You don’t need those in VR, because you’re trying to make a more believable world. So a lot of what people do in current games are camera artefact effects – vignetting, film grain noise – so you save a lot of processing power there first of all,” he explained in an interview with EuroGamer. He also explained that it will be possible to run 60 fps with stereo turned on, debunking the myth that it needs more processing power to run stereo. “There’s also another belief that people think it takes twice the power to render stereo – that’s not true because your physics, your AI, everything runs once when you’re rendering stereo, and a lot of the graphics even only run once. For example, shadow computations can be re-used from eye to eye. So it’s really not a 2x jump going from mono to stereo. I think it’s quite feasible to run 60 in stereo for Morpheus on PS4,” he explained. Given that the device is still in prototype phase and a long development cycle is still in store, there is a lot of scope of improvement. What are your thoughts on this matter? Let us know your thoughts in the comments section below.